No avid gardener needs to be told that there are many advantages to growing your own flowers and vegetables from seed. Perhaps the most common reason why gardeners grow plants from seed is economy. An economical seed packet may contain enough seeds to produce dozens—or even hundreds—of plants, and at a fraction of the cost of purchasing nursery plants. If you are a home gardener, you know that it’s far cheaper to grow those 72 tomato plants it will take to supply your family year-round, from seed, rather than purchasing them as nursery plants. Tomatoes, along with most other vegetables and many flowers and ornamentals, are so easily grown from seed that it seems almost prodigal to purchase expensive plants—unless you just can’t resist when the garden centers put them out, of course. Another very common reason why so many gardeners prefer to grow most flowers and vegetables from seed is that the spring offerings at garden centers can be very limited. Experienced gardeners, especially, are likely to find them disappointing. Home gardeners that love the favor of heirloom tomatoes usually have several favorite tomato varieties that are rarely or never available as nursery plants. 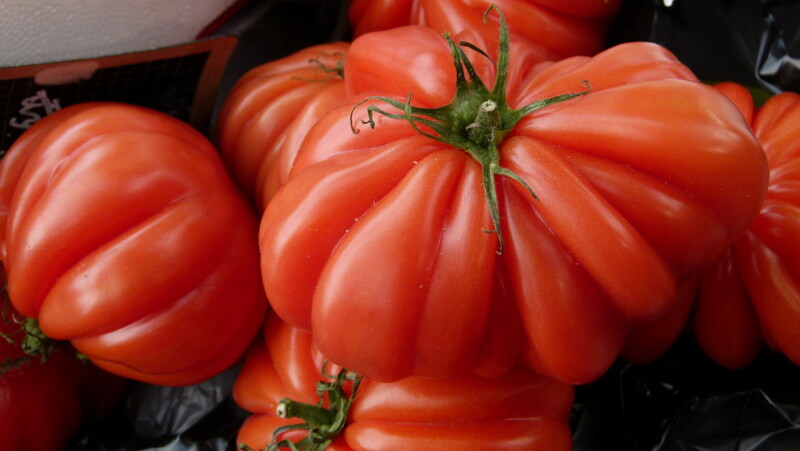 They may prefer to grow such Italian heirloom tomatoes as Principe Borghese or Constoluto Genovese, or the Bulgarian heirloom Druzba, or any of literally hundreds of other varieties that are only available in the form of seeds. While many garden centers are now offering several of the more popular heirloom tomatoes, such as Cherokee Purple and Amish Paste, there is no way to be sure they’ll be offered as nursery plants by retailers near you. The same is true of many other favorite vegetables. Many of my own “must haves” are seldom available as seed, let alone as plants. I have grown Russian Red Kale, Amish Deer Tongue Lettuce, and Bennings Green Tint Summer Squash for many years, and I’m not about to stop now. The same situation prevails with flowers. 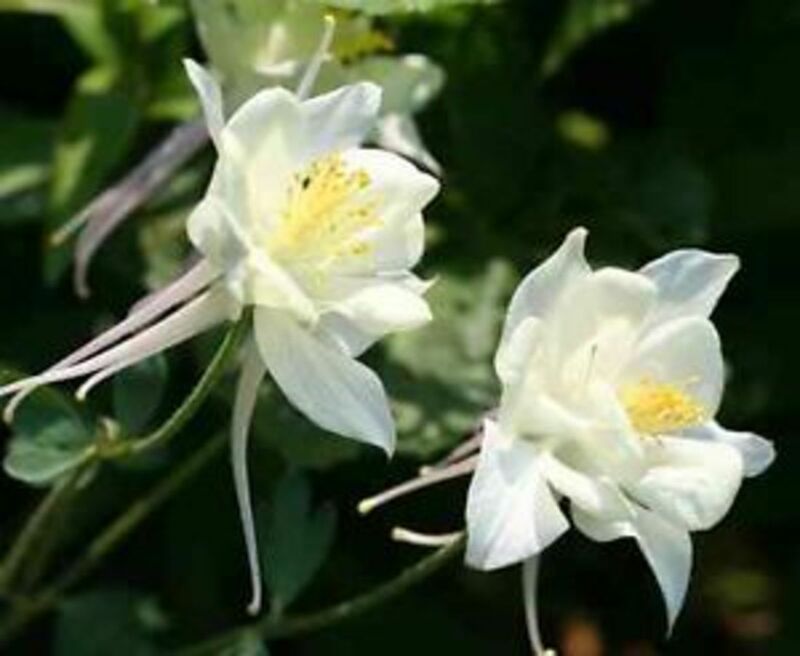 Many favorite flowers are seldom or never offered as nursery plants. 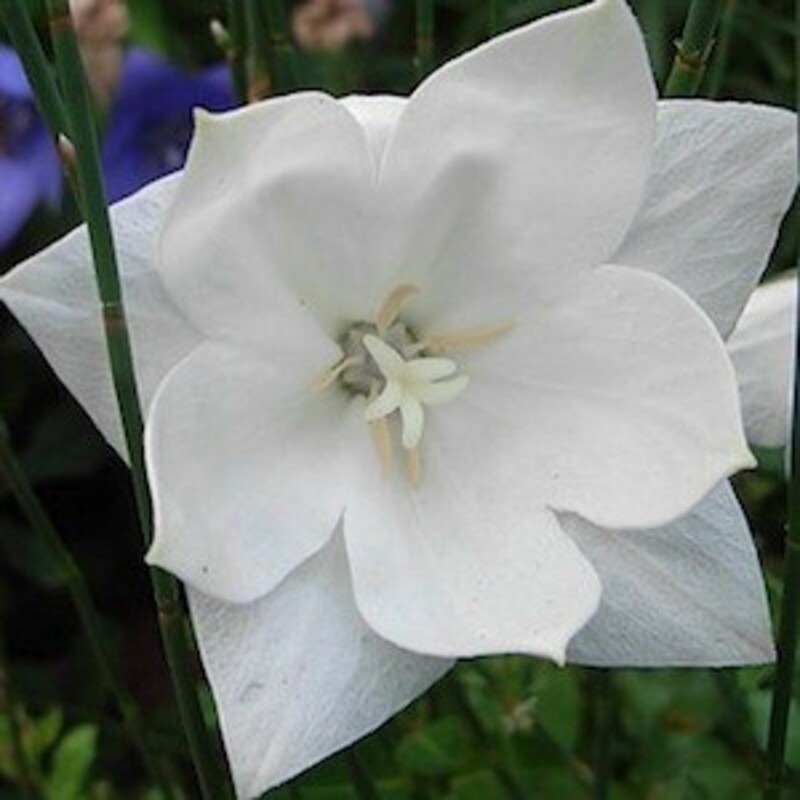 Every year, seed catalogs tempt you with descriptions of such rare plants as the “Hakone White” double-flowering Balloon Flower, hardy passionflowers, pure white “Crystal Star” columbines, luxurious lisianthus, and perennial sweet peas. If you are fond of herbs, you will probably have to grow your own motherwort, Baikal skullcap, meadowsweet, and lady’s mantle from seed. The nurserymen who grow flowers for sale have their own limitations as to greenhouse and field space and can’t please everyone. There are literally hundreds of flowers, vegetables, and herbs that can be obtained only by growing them yourself. 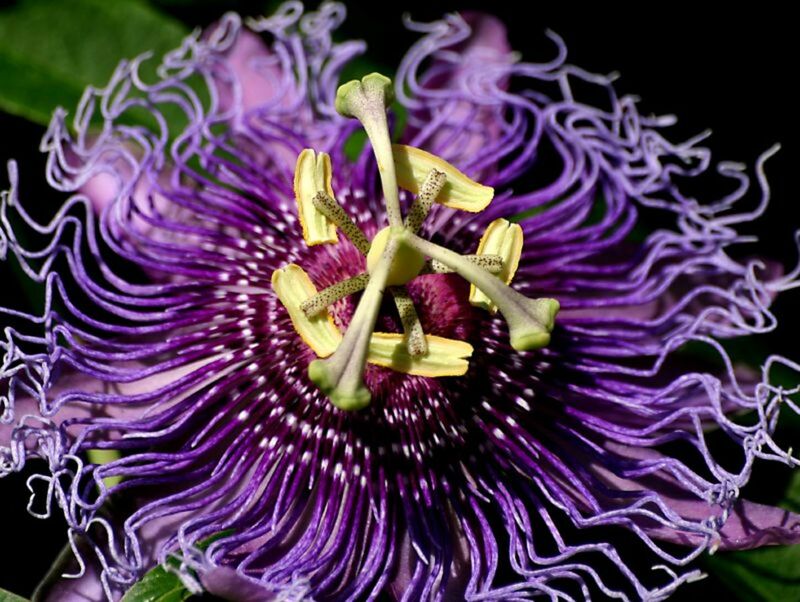 Once you’ve mastered the fairly simple skills involved, a whole world of unusual plants opens up to you: You can have purple mulleins, pure white columbines, monkshood, calendulas, foxgloves—and just about everything else—in your chosen variety. Most annuals are easy to grow from seed, and require very little skill to start indoors. 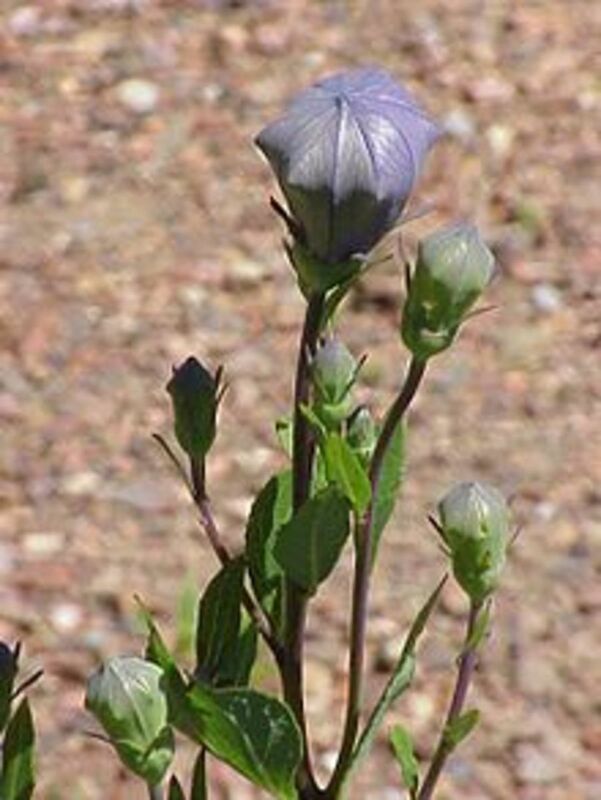 Many perennial flowers, too, are also easily grown from seed. Some perennials may require pre-treatments—usually cold treatment—or are helped by nicking and soaking in the case of large hard-shelled seeds, to get them to germinate. Most perennial seeds that require cold treatment will germinate readily after a few weeks in moist potting soil in the refrigerator. Many perennial seeds are just plain slow to germinate, so be sure to check the seed packets for germination times, to avoid discouragement. Remember, too, that the germination time shown on the seed packet presumes that the temperature is right. Seeds that are claimed to germinate in 21 days may keep you waiting much longer if your seed trays are in a cold spot—or sometimes a dark spot—or if they don’t have consistent moisture. There are some plants that you may not want to attempt to grow from seed because they have rather exacting germination requirements—and in some cases their germination requirements are poorly understood, even by professionals. One example of such a plant is peonies, which may require two intervals of cold treatment, with an intervening warm treatment. Some other seeds may be difficult to germinate without unusual or specialized treatments, such as treatment with Gibberellic acid. Attempting to germinate these difficult seeds can be an interesting project that can pay off handsomely. 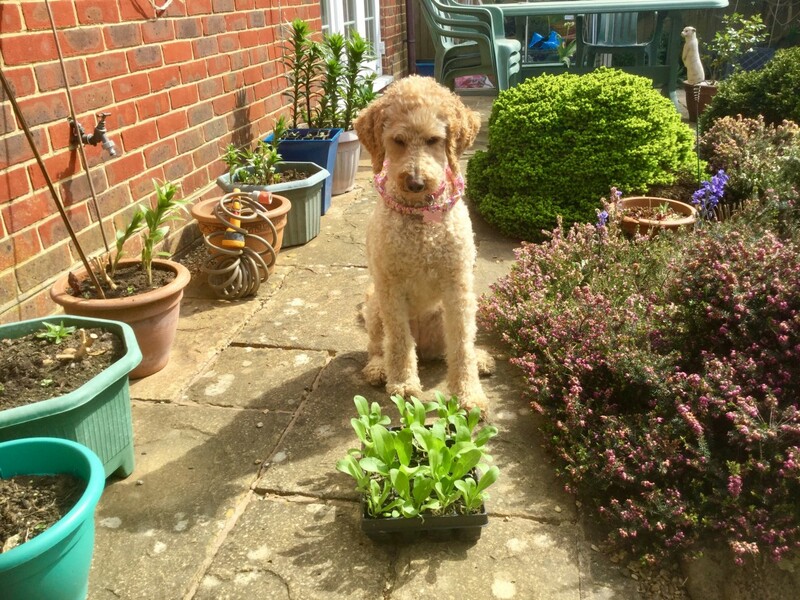 Everyone who grows annual flowers and vegetables from seed has found that they are very reliable: Give them soil-less potting mix and some water and they’ll come right up. The only worries are keeping them moist and providing enough warmth. Many garden vegetables will simply not germinate in cold soil. This seems to be especially true of tomatoes—and especially some of the heirloom varieties. They won’t germinate if you set your seed trays in a cold window. One solution is to put heat mats under the seed trays, but normally you just need to find a warm spot for them. Most seeds germinate best at fairly warm temperatures—that is, 70°. 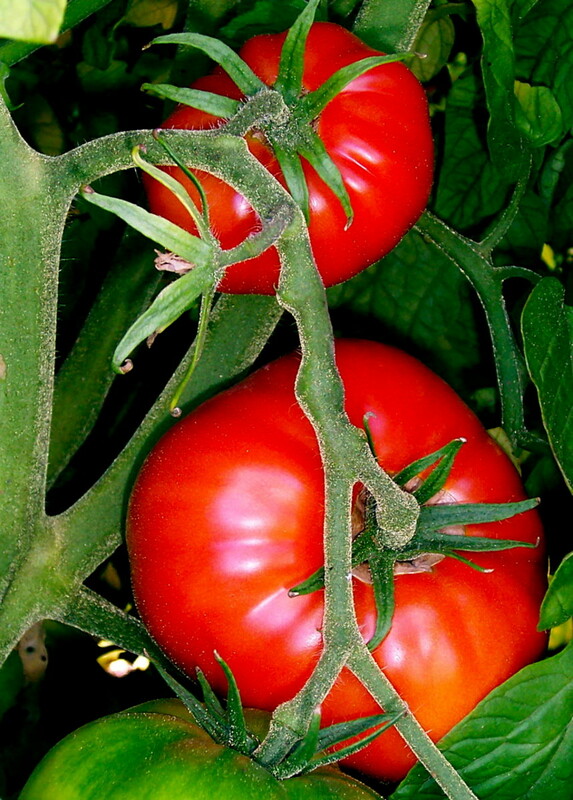 Tomatoes are a tropical plant, and prefer—or even require—a warmer temperature (between 70° and 80°) to germinate. The correct planting depth is also important. Normally, seeds should be covered with 2-4 times their thickness of soil. Some seeds require light to germinate. Rosemary is one example. 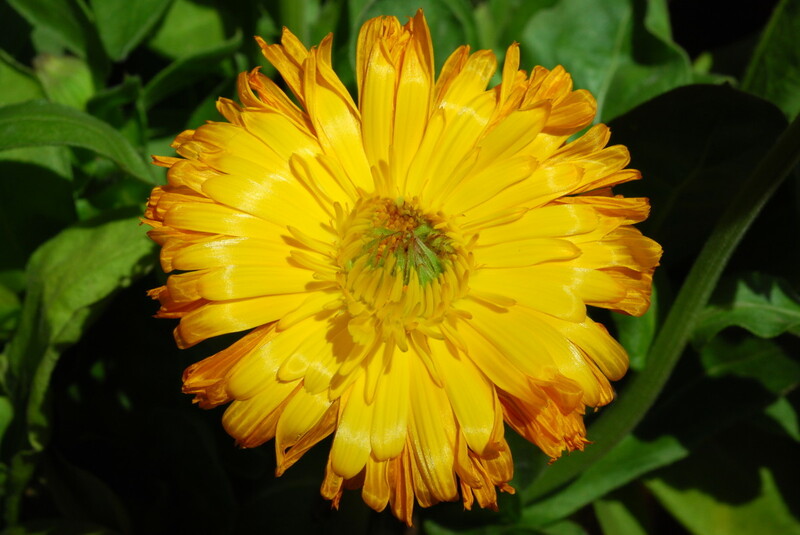 Other seeds, such as calendula, require dark to germinate and need to be well covered. Check the directions on the seed packet for planting depth. If you can provide a planting medium, consistent moisture, and a fairly warm temperature, you should be in business. Most seed packets tell the proper depth for planting seeds, temperature requirements, and germination times. Germination times can vary a lot, although most annuals will germinate in a week or two. If they are slow, suspect a temperature problem. When should you start seeds indoors? Most annuals should be started 6 weeks before the last frost date for your area—although there are a few very slow-to-germinate and slow-growing plants that should be started earlier. Can you start other annuals earlier than 6 weeks before the last frost date in your region? Actually, you can. The main problem with starting seedlings very early is that their root systems will outgrow their accommodations well before the weather permits outdoor planting. 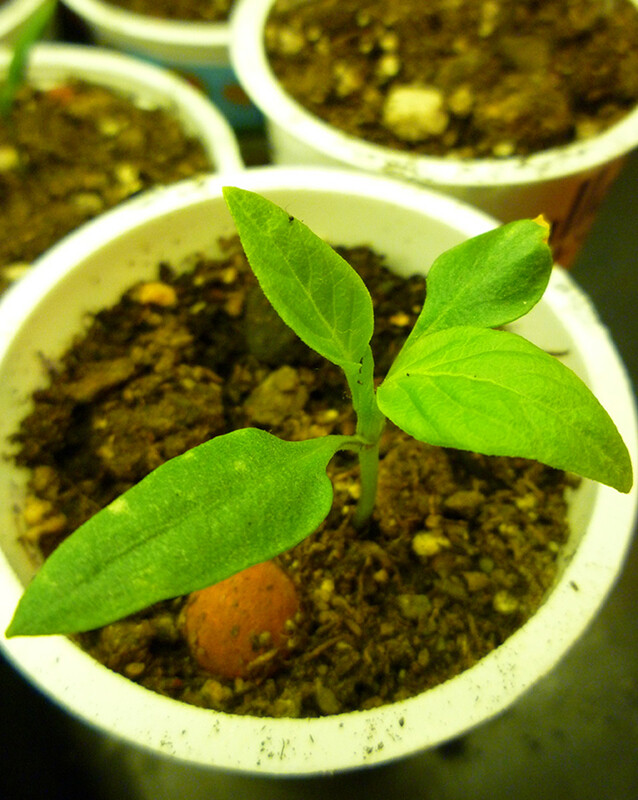 This problem is easily solved by transplanting each seedling to a larger container. If you don’t mind going to the extra trouble, and you have adequate plant lights or warm sunny windows for all these containers, it’s well worthwhile. You’ll have larger, more mature plants to set out in spring. Seedlings generally seem to benefit from at least one move to a larger pot before planting out, anyway. What about biennials and perennials? Many of these can be treated in the same way as annuals, but some should be started earlier if they are slow-growing or slow to germinate. Others require stratification (cold treatment) for optimum germination, and some seeds will not germinate at all without cold treatment or other treatments, which I’ll talk about later. I have found that if you plan to start a lot of seeds, your best bet is to buy one or more seed-starting kits with individual “grow plugs.” This saves you the trouble of having to work out every detail of providing the needs of seeds and seedlings. When starting seeds in other types of containers, be sure they meet your seedlings’ needs: good drainage, a sowing medium that retains moisture well, a plastic covering to keep the sowing medium from drying out, and something underneath this whole arrangement so that water doesn’t drip on your floor. If you sow your seeds in pots or other containers, make sure they have holes in the bottom for drainage. They should probably have a saucer under them so water doesn’t drip on the floor. Use a good soil-less sowing medium. While you are waiting for seeds to germinate, it is usually best to keep the pot or container covered with plastic until germination. 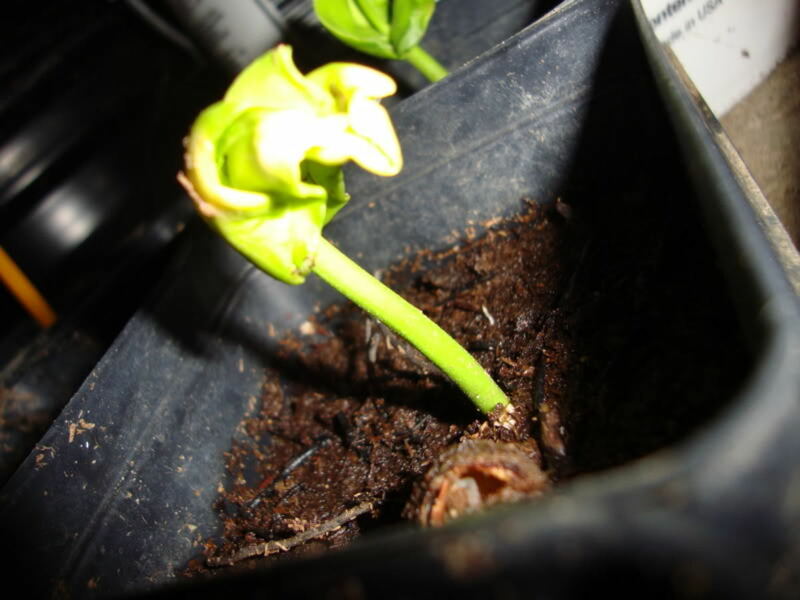 After most of the seeds have germinated, the plastic should be removed so the seedling can have adequate air circulation. You can use plastic wrap to cover your containers, or even put the whole container inside a clear plastic bag. Be sure to take off the plastic bag or covering, once seeds germinate. The lack of air circulation will cause them to damp off. But once the covers are off, you’ll have to watch more carefully to be sure the sowing medium doesn’t dry out. The advantage of using a seed-starting kit is that all these requirements are taken care of. If you look around, they can be fairly inexpensive. While I don’t use these kits for all the seeds I start indoors, they are in many ways a money-saver, because you are less likely to waste seeds. Be sure to label the pots or containers. Once your seedlings have emerged, it’s best to start fertilizing them. The easiest way to do this is to purchase a water-soluble fertilizer intended for seedlings. (Most brands of water-soluble fertilizers will be multi-purpose.) Mix the fertilizer with water according to the package directions and use this to water the seedlings about once a week, or according to the directions. If seedlings dry out before it’s time to fertilize again, use plain water. You don’t want to over-fertilize. Harden off seedlings by gradually exposing them to outdoor conditions. Some people feel that seedlings need up to seven days of hardening off before they can be planted outdoors. Begin by placing the seedlings outdoors in the shade for about an hour, in a spot where they are protected from the wind. The second day they should be able to remain outdoors for two or three hours in a shady, protected location. Gradually place them in sunnier and less protected locations for longer periods of time. You want to keep a close eye on seedlings when hardening off. If they start to droop, bring them back indoors immediately. If the planting medium starts to dry out too much, given them more water. I generally don’t harden off plants for a full seven days. If you pay attention to them, you can see how well they are adapting to outdoor conditions. If they have been sitting outdoors in a warm, sunny spot for several hours and show no signs of wilting, you can be pretty sure they are ready to be transplanted to the garden the following day. Like all living creatures, plants have a lifespan allotted by nature. For some plants this allotted lifespan is only one growing season. 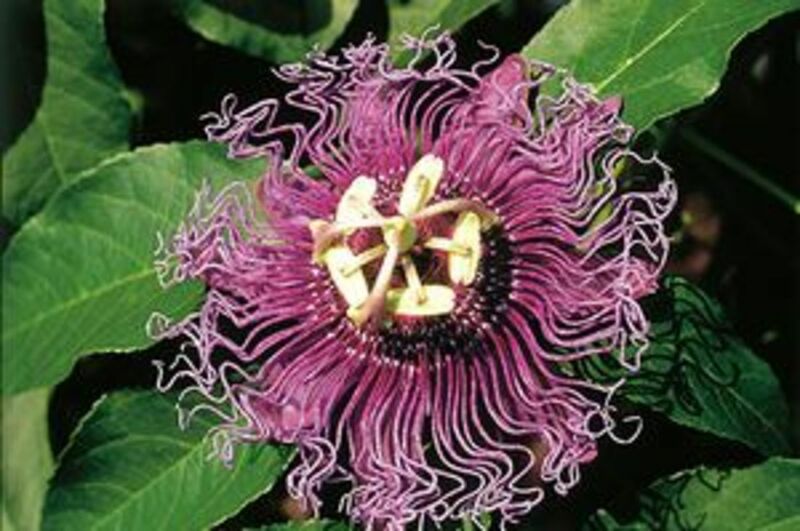 Other plants have a lifespan ranging from two years on up to hundreds of years. An annual is a plant that lives for only one growing season. You could not significantly prolong its life, even by bringing it indoors in the fall. 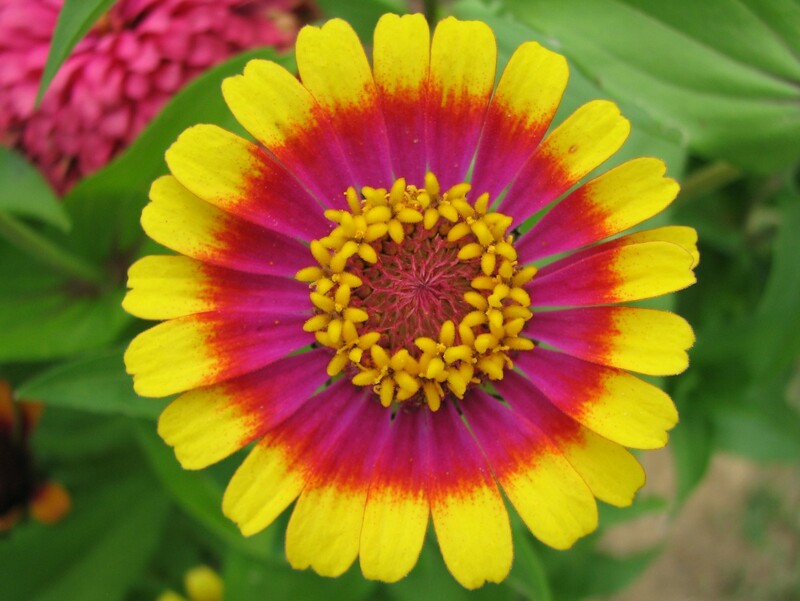 Understanding which plants are annuals can sometimes confuse beginning gardeners. This is because some plants that are really perennials, such as tomatoes, are treated as annuals—and often labeled annuals by garden centers. Some other plants that are often treated as annuals are really short-lived perennials, or not reliably perennial. One example is dianthus (pinks). Garden center dianthus are usually sold as annuals, but most of them will live about three years in the garden, growing larger and more floriferous each year. On the other hand, some varieties of dianthus won’t survive into the second year. Not all of them are reliably perennial. Annuals are normally quick to germinate and fast-growing, and they also tend to be highly productive of flowers and fruit. Most are very easily grown from seed and germinate fairly quickly, given the right temperature. Unlike most garden vegetables, tomatoes are a tender perennial, native to tropical regions, but they germinate as readily as annual flowers and vegetables. Like most plants native to the tropics, they tend to require rather warm temperatures to germinate—between 70° and 80°. Some varieties of tomatoes need more heat than others. 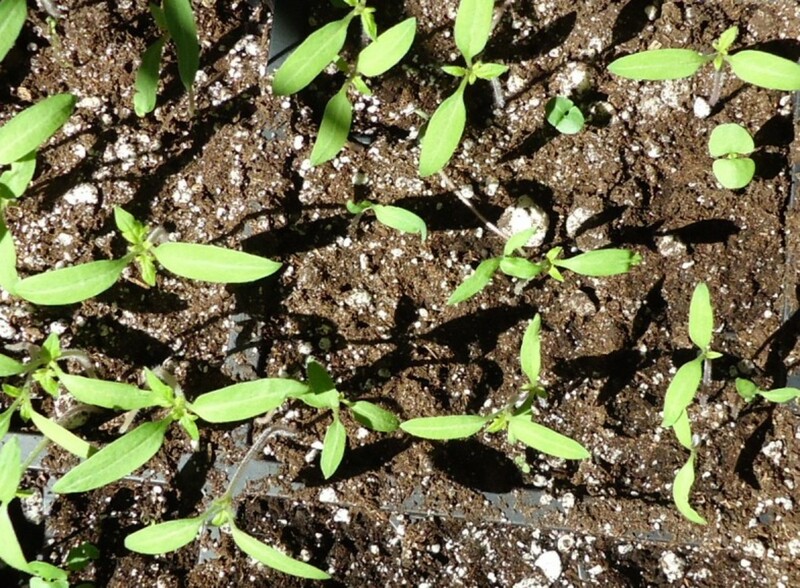 When you start several varieties of tomatoes from seed, you will sometimes notice that they all germinate, except for one variety, and you’ll often find that it won’t germinate until you can provide it with more warmth. Seed packets usually suggest the best temperature range for germination of a particular seed, and often also give the expected time until germination—for most annuals from 7-21 days. 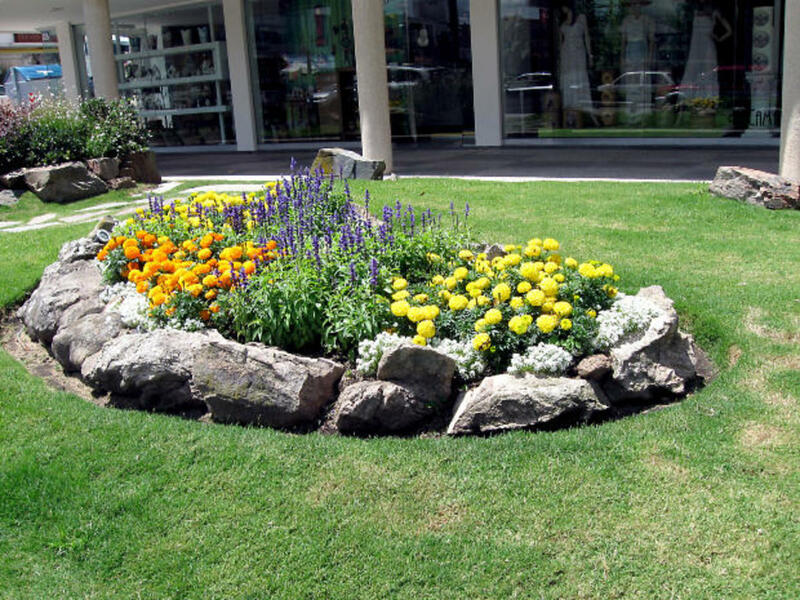 Annuals are usually planted outdoors after danger of frost is past. (Some exceptions would be kale, cabbage, and other members of the cabbage family, which can withstand considerable frost.) Check climate zone maps for the average last frost date in your area—but also keep an eye on the weather and the forecast, since this is the average last frost date, and late frosts are quite possible. Biennials are plants that do not bloom until their second year of growth, and they usually will not live more than two years. 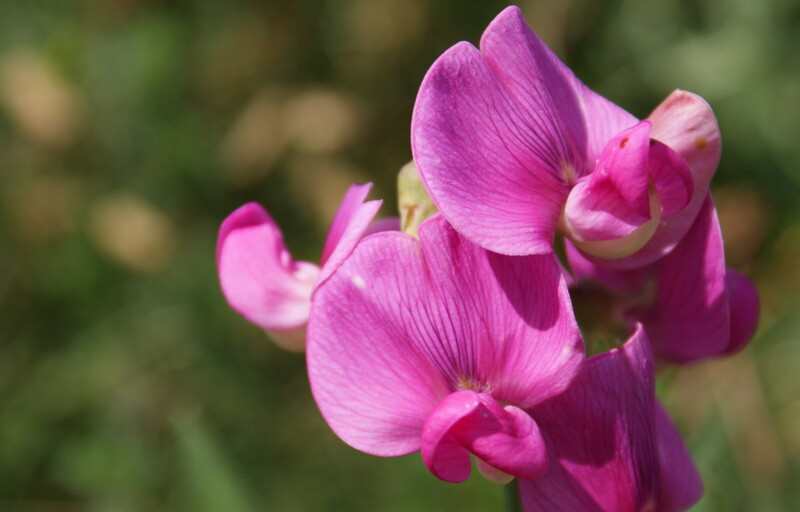 The main drawback to growing biennials from seed is the absence of bloom that first year in the garden—and that long wait for bloom during their second growing season. Many gardeners pass them over—either because of impatience or lack of garden space for first-year ugly ducklings—but if you don’t lack for patience or garden space, biennials are some of the most spectacular of flowering plants, and well worth the time and trouble. 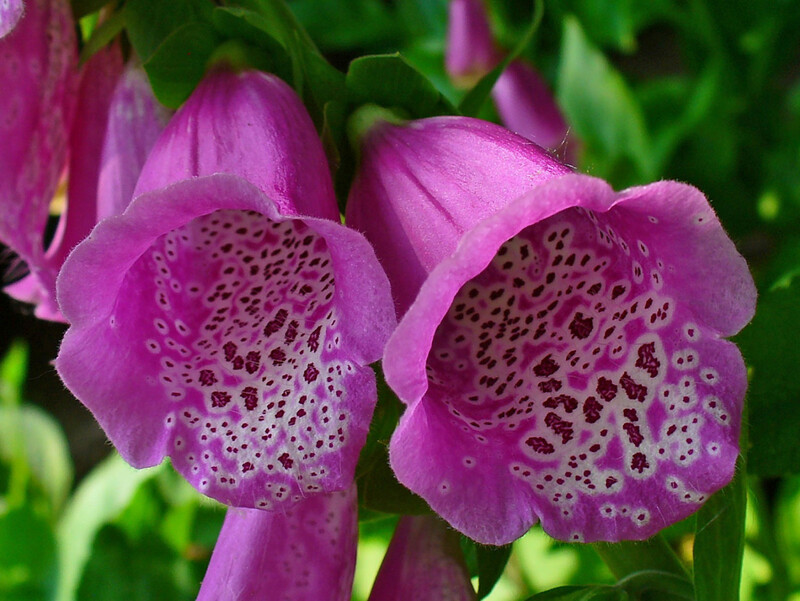 Gardeners everywhere will rejoice to hear that there are perennial foxglove varieties—and they will rejoice even more to hear that annual varieties of foxgloves have been developed—the “Camelot” strains, now available from several major seed and nursery catalogs. I have grown the Camelot foxgloves, and love them. 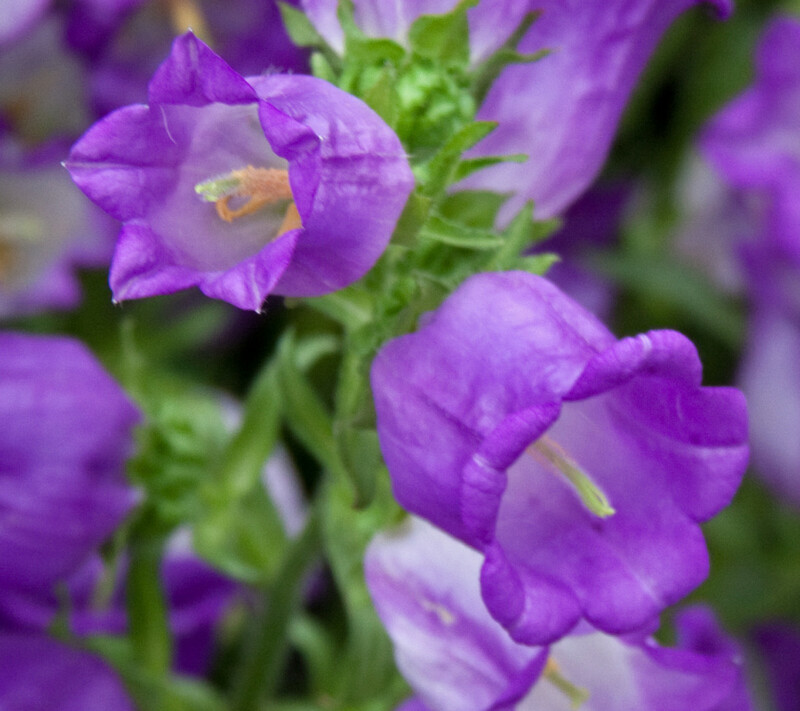 Another of my favorite biennials that is almost never offered as a nursery plant is Canterbury bells, which may be single or double-flowered, the double-flowered kind being called “cup and saucer” Canterbury bells. 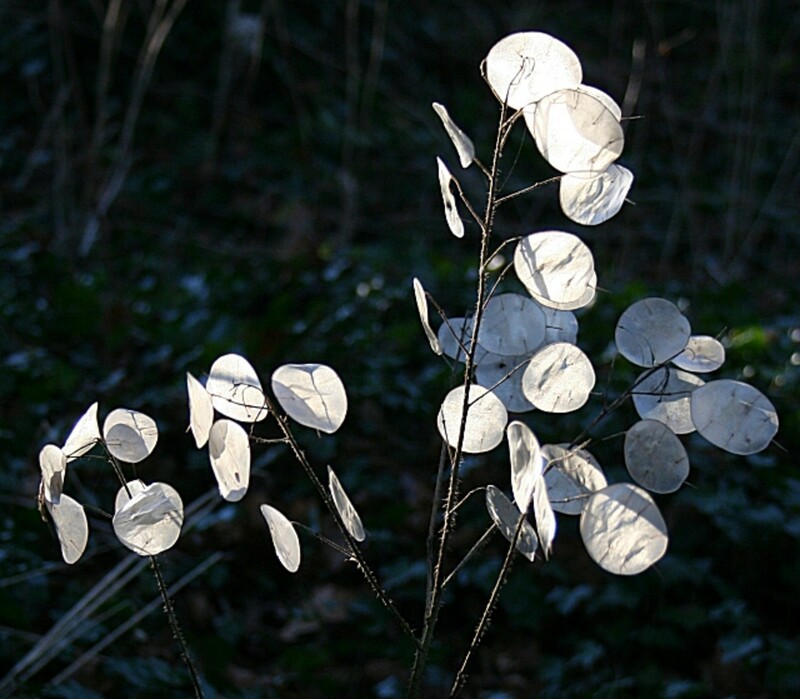 Lunaria, or Money Plant, is grown for its silvery coin-like fall seed pods which don’t appear until the second year. 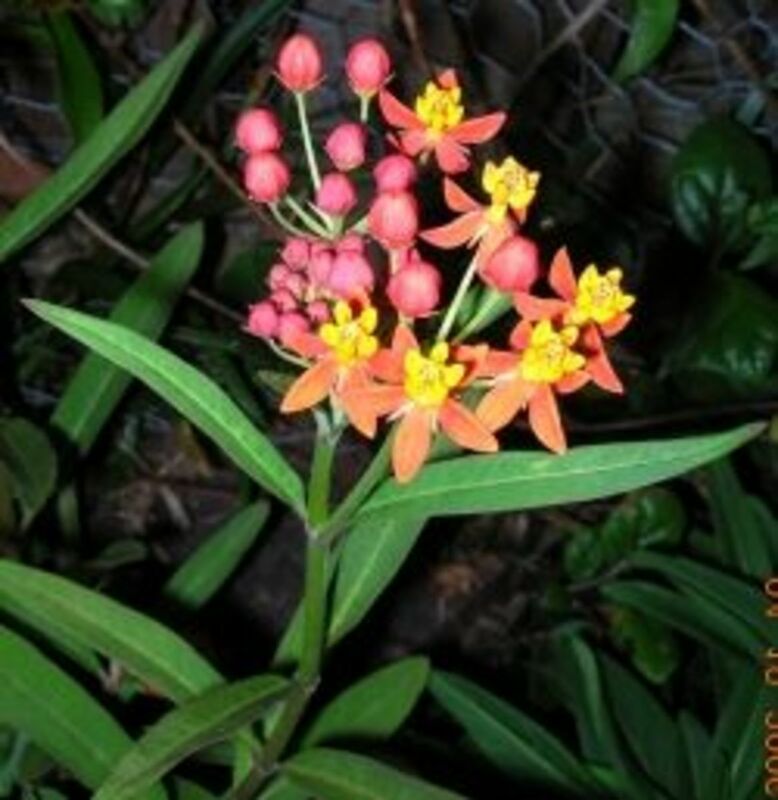 This one, too, is rarely offered as a nursery plant. There is also a perennial form of Lunaria, but seed for this is hard to come by, being offered by only a few seedsmen. Normally, when biennials are offered as nursery plants, they have already been grown through one growing season (or at least a good long stay in the greenhouse) and will bloom the same year they are planted—or, most often, they are sold when already in bloom. 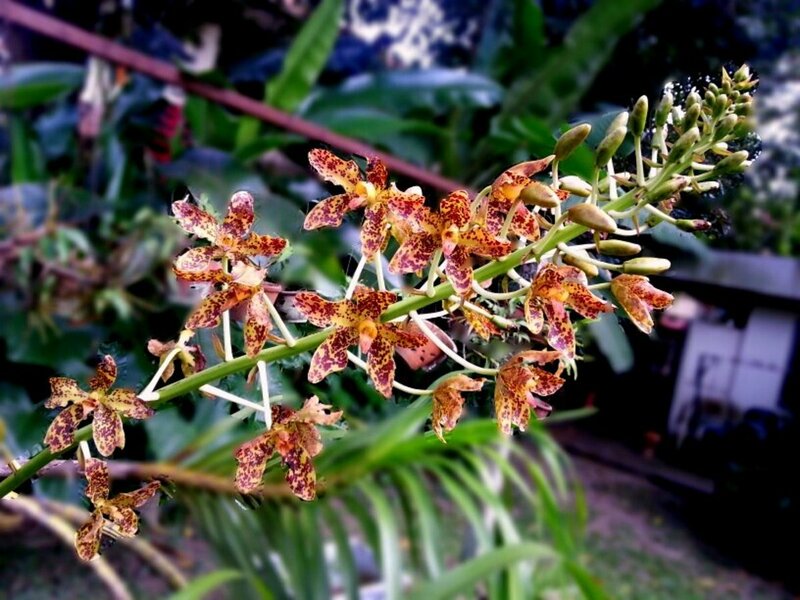 While buying nursery plants allows you to enjoy their spectacular bloom without the wait, they tend to be pricey. The nurseryman’s problems in producing blooming plants are the same as your own: They take extra time to grow, so they cost more. Another problem with buying biennials as nursery plants is that they normally bloom for a single season and then die—so that, from the home gardener’s point of view, they are just very high-priced annuals. I’ve found that, even though growing these from seed involves a long wait before you get to enjoy the blooms, biennials grown from seed in your own garden are likelier to be healthier and more floriferous than purchased nursery plants. My impression is that transplanting of mature biennials—especially if they are in bloom—is kind of hard on them. The main drawback to growing biennials is that you have to find garden space for plants that will not bloom until the second year. It seems to work best to scatter them among other flowers that will bloom the first year. Most biennials are best started indoors from seed and planted out after the last spring frost. Some can be sown outdoors in the fall. Most of the perennial seeds sold by retailers are selected for their ease of germination without any special treatments. But if you have your heart set on growing a plant that is a little out of the ordinary, you may need to look into its special germination requirements. The most common germination requirement for perennials is cold treatment or stratification. There are many perennial plants whose seeds will not germinate without overwintering. Mother Nature has given the seeds a kind of combination lock to prevent them from germinating until the ideal growing conditions of the following spring. This is called seed dormancy. In order to break seed dormancy, so that the seed can germinate, you need to simulate winter conditions for them, before sowing. This is called cold treatment, stratification, or vernalization. Here is a list of seeds that germinate readily without cold treatment or other special treatments, from gardenweb.com. Achillea (Yarrow), Alcea (Hollyhock), Alyssum (Perennial Alyssum), Anthemis (Perennial Marguerite), Aquilegia (Columbine), Arabis (Wall Cress), Armeria (Thrift), Aster, Aubrieta (Rock Cress), Aurinia (Basket-of-Gold), Bellis (English Daisy), Campanula carpatica, Campanula persicifolia (Bellflower), Catananche (Cupid's Dart), Centaurea (Cornflower), Centranthus (Red Valerian), Cerastium (Snow-in-Summer), Coreopsis (Tickseed), Cynara (Cardoon, Globe Artichoke), Dianthus (Pinks, Carnations, Sweet William), Digitalis (Foxglove), Doronicum (Leopard's Bane), Echinacea purpurea (Purple Coneflower), Echinops (Globe Thistle), Erigeron (Fleabane Daisy), Erysimum allionii (Siberian Wallflower), Gaillardia (Blanket Flower), Geum (Avens), Gypsophila (Baby's-Breath), Helenium (Helen's Flower), Hesperis (Dame's Rocket), Heuchera (Old-fashioned Coral Bells), Kniphofia (Torchlily), Leucanthemum (Shasta Daisy), Liatris (Blazingstar), Limonium (Sea Lavender), Linum perenne (Blue Flax), Lunaria (Money Plant, Silver Dollar), Lupinus (Lupine, best sown directly outside in late spring), Lychnis (Campion), Malva (Mallow), Monarda (Beebalm), Myosotis sylvatica (Forget-me-not), Origanum (Oregano), Papaver (Poppy), Physostegia (Obedient Plant), Polemonium (Jacob's Ladder), Potentilla (Cinquefoil), Rudbeckia hirta (Gloriosa Daisy), Salvia (Perennial Sage), Stachys (Lamb's Ears), Tanacetum (Painted Daisy, Feverfew), Thymus serpyllum (Mother-of-Thyme), Verbascum (Mullein), Verbena, Veronica most tall types (Speedwell), Viola hybrids (Winter Pansy). Acanthus (Bear's-Breeches), Aconitum (Monkshood), Alchemilla (Lady's Mantle), Alstroemeria (Peruvian Lily), Anemone (Windflower), Angelica, Arum, Aruncus (Goat's Beard), Asarum (Wild Ginger), Asclepias (Milkweed), Astrantia (Masterwort), Baptisia (False Indigo), Bergenia, Buddleia (Butterfly Bush), Caltha (Marsh Marigold), Caryopteris (Bluebeard), Chelone (Turtlehead), Chrysogonum (Golden Star), Cimicifuga (Bugbane), Clematis, Corydalis (Fumitory), Crambe (Seakale), Cyclamen, Delphinium, Dicentra (Bleedingheart), Dictamnus (Gas Plant), Dodecatheon (Shooting Star), Echinacea pallida and angustifolia,Eremurus (Foxtail Lily), Eryngium (Sea Holly), Eupatorium (Boneset), Euphorbia (Spurge), Filipendula (Meadowsweet), Fuchsia, Gaura (Butterfly Gaura), Gentiana (Gentian), Geranium species (Cranesbill Geranium), Goniolimon (German Statice), Gunnera, Helianthemum (Rock Rose), Helianthus (Perennial Sunflower), Heliopsis (False Sunflower), Helleborus (Christmas & Lenten Rose), Heuchera hybrids (Fancy-leaf Coral Bells), Hibiscus (Hardy Hibiscus), Hypericum (St. John's-Wort), Iberis (Perennial Candytuft), Incarvillea (Hardy Gloxinia), Iris species, Jasione (Shepherd's Bit), Kirengeshoma (Waxbells), Knautia (Crimson Scabious), Lathyrus (Perennial Sweet Pea), Lavandula (Lavender), Lavatera (Tree Mallow), Leontopodium (Edelweiss), Lewisia, Ligularia, Lobelia, Lysimachia (Loosestrife), Macleaya (Plume Poppy), Mazus (Creeping Mazus), Mertensia (Virginia Bluebells), Myrrhis odorata (Sweet Cicely), Nepeta (Catmint), Oenothera (Evening Primrose, Sundrops), Omphalodes (Naval-seed), Penstemon (Beard-tongue), Perovskia (Russian Sage), Persicaria (Fleeceflower), Phlomis, Phlox (all types), Physalis (Chinese Lantern), Platycodon (Balloon Flower), Podophyllum (May Apple), Primula (Primrose, all types), Pulsatilla (Pasque-flower), Ranunculus (Buttercup), Ratibida (Prairie Coneflower), Rheum (Rhubarb), Rodgersia, Rosmarinus (Rosemary), Rudbeckia (Black-eyed Susan, most types), Rumex sanguineus (Bloody Dock), Sanguinaria (Bloodroot), Sanguisorba (Burnet), Saponaria (Soapwort), Saxifraga (Saxifrage), Scabiosa (Pincushion Flower), Sedum (Stonecrop), Sempervivum (Hen-and-Chicks), Sidalcea (Prairie Mallow), Silene (Campion, Catchfly), Sisyrinchium (Blue-eyed Grass), Stokesia (Stokes' Aster), Teucrium (Germander), Thalictrum (Meadow-rue), Tiarella (Foamflower), Tradescantia (Spiderwort), Tricyrtis (Toad-lily), Trollius (Globeflower), Vernonia (Ironweed), Veronica Dwarf Types (Speedwell), Veronicastrum (Culver's-root), Viola species types (Violets), Waldsteinia (Barren Strawberry), Zantedeschia (Calla Lily). Probably many experienced gardeners will protest that they have started hardy hibiscus, soapwort, perennial sweet pea, Ratibida, and other seeds on this list successfully, without giving cold treatment. To tell you the truth, the reason I mention these flowers is because I’ve started them without cold treatment myself. Many seeds that don’t always and absolutely require cold treatment to germinate will give a higher percentage of germination with cold treatment. Cold treatment can also speed up germination. Most sources recommend that, when in doubt, give cold treatment. There are also a few seeds that must be sown when fresh, because otherwise they will “go dormant.” Meadowsweet, or Filipendula ulmaria, is one of these. If seeds are left unsown long enough to go dormant, cold treatment will be required to break dormancy. Some on this second list are included for these reasons. Some hard-shelled seeds need such pre-treatments as nicking—also called scarification—and/or soaking in water, either to permit germination or to hasten it. One way to give seeds cold treatment is simply to sow them outdoors in the fall—or better yet, in pots outdoors, so that seeds can be protected from being eaten by birds or other animals—and let a normal winter break seed dormancy. Anyone who has used this approach knows that it has its hazards. Seeds may be eaten by critters, or stray animals may dig in your pots or knock them over. Rain or snow melt may bury the seeds too deeply. If you sow seeds outdoors, it’s a good idea to protect them from such hazards as best you can by covering pots with window screens or chicken wire, and securing them from being knocked over. It’s actually quite a bit easier to give cold treatment in the refrigerator. Actually, the temperature of your refrigerator (not the freezer) is ideal for cold-treatment for seeds. The temperature usually used for cold treatment is 35°-45° F.—or 2°-7° C. The temperature in a normal refrigerator is usually around 40° F., or about 4.5° C.
In other words, your fridge temperature is perfect! Cold treatment for seeds requires that they be kept both cold and moist—to best duplicate outdoor conditions. To give seeds cold treatment, first mix them with a small amount of moist—not dry or soggy, but just slightly moist—seed-starting medium. Place the seeds mixed with moist medium in a small container or plastic bag, and put the container in the refrigerator. Label the container with the name of the seed and the date you put it in the refrigerator, as well as the date the container needs to come out of the fridge so the seeds can be sown. You should use quite small containers for giving seeds cold treatment, since only a small amount of moist medium is needed. One type of container that is often most convenient is empty pill bottles. These are just the right size, and they are unlikely to mistaken for leftover lasagna and thrown out. Sometimes is also a good idea to record seed names and dates in a garden journal, so you don’t forget about your seeds. It can be easy to forget them if you are giving cold treatment to seeds that require lengthy or complex treatment. How long do seeds need to remain in the refrigerator? Sometimes the seed packet will give precise directions—but not always. For most seeds, cold treatment for about 30 days is enough. A little longer can be beneficial—so don’t worry too much if you leave some seeds in the fridge a little too long. In nature, the length of winter is variable, and your seeds are likely to be pretty adaptable, once they’ve gotten their minimum chill requirements. There are some seeds, however, that really require 90-120 days cold treatment—or sometimes more. For example, of the seeds for which I’ve most recently started cold treatment, stinging nettle (Urtica dioica) requires “two months of moist cold before sprouting,” according to the directions on the seed packet. The seed packet also mentions that the seeds need light to germinate and so must be sown on the soil surface and only lightly covered. On the other hand, the directions for cold treatment of Boneset (Eupatorium perfoliatum) is “at least 30 days.” Shizandra is thought to require three or four months of cold treatment to enable germination. There are some exotic and unusual seeds that have elaborate and unusual requirements for germination—and I suspect there are quite a few seeds whose germination requirements are not well understood. A couple of my favorite sources for more out-of-the-way seeds are jlhudsonseeds.com and bountifulgardens.org. Seed packets do not always give full directions for germinating even the more difficult seeds. J.L. Hudson often (but not always) provides directions in his catalog. Bountiful Gardens usually gives full directions, printed on the seed packet. When in doubt about what you’re getting into, it might be best to do an online search for specific germination requirements—or simply follow the rule, “When in doubt, give cold treatment” for at least 30 days. There are a number of other methods besides cold treatment for breaking seed dormancy. For more, see J.L. Hudson’s more in-depth discussion at http://jlhudsonseeds.com/Germination.htm. This link will take you into the realm of smoking seeds, setting a little fire on top of the seed trays, and treating with Gibberellic acid. Gibberellic acid treatment is one of the more common methods for quickly breaking seed dormancy, and J.L. Hudson also sells Gibberellic acid kits for seed treatment, at http://jlhudsonseeds.com/index.htm. It is said that the Chinese germinate schizandra seed by first soaking them in a strong solution of sulfuric acid. You can see that the germination of a wide variety of seeds is a fascinating subject. Seed packets will often—but not always—give approximate time till germination. Some perennials germinate quickly, usually in two to three weeks. Others may take much longer to germinate. The seed packet for schizandra says that germination time will be about two months. You may have to be patient. Germination time also depends on temperature, so there can be quite a bit of variation. Seed germination times are often inherently variable. This is because, in nature, a seed whose genetic code decrees late germination may be the sole survivor of a late frost. These variations and peculiarities in germination requirements allow plants to hedge their bets and thus improve their chances of survival. Seeds that germinate in two to three weeks—the relatively quick ones—will tend to come up fairly evenly—that is, all will come up a close to the same time. Seeds that take longer to germinate may come up very erratically. Sometimes, as with peonies, you might need to hold the pot for up to a year before all seeds germinate, some coming up quickly, while others straggle along about a year later. For most perennials, starting seeds, even if they require a relatively short period of cold treatment, is well worth the extra effort. And if, like me, you long for about a dozen tree peonies and would never pay what they cost as nursery plants (assuming you could find them as nursery plants), even some of the more difficult seeds are worth the effort. Several perennial flowers provide amazing displays of flowers and foliage, yet require almost no care! 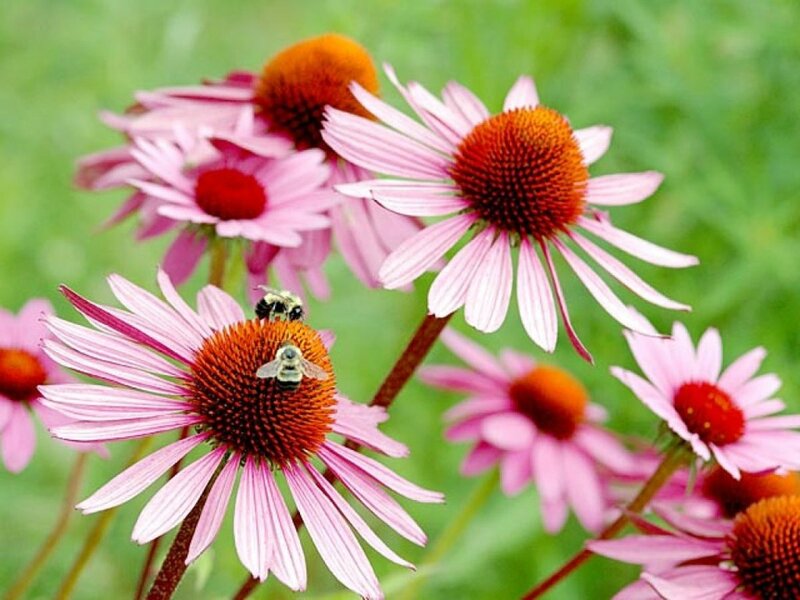 Here are three to provide the backbone of your home flower garden. Acorns have been used as a staple human food for thousands of years. 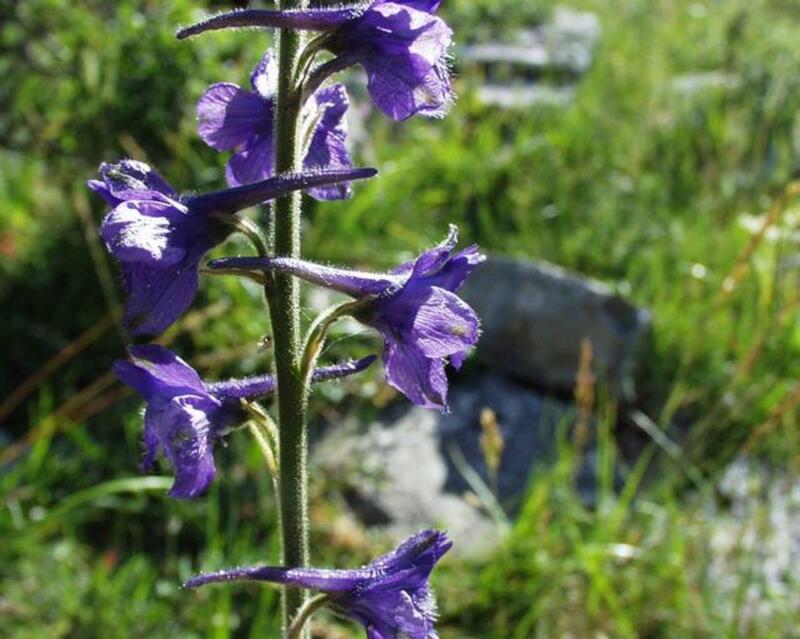 Today, interest in using this healthful and abundant native wild food has been revived. Try some delicious acorn recipes. You can easily grow glorious lisianthus ("Lizzies") from seed started early indoors. It just takes patience! Elderflowers blooming in the fields and along the roadsides in June are a beauty--and healing--bonanza! Healing herbal teas can be prepared to help many minor ailments--or just for a flavorful treat to enjoy--from herbs that are readily available, or already in your kitchen. Wisteria--an easily grown and spectacular ornamental "tree" or vine. Passionflower, meadowsweet, rosemary, lemon balm, thyme, Sweet Annie, chamomile, catnip, mint, ecinacea, black-eyed Susans, and Bible leaf make a lovely and useful herb garden. There is no need to spray your home with toxic pesticides to get rid of fleas--and flies, too. Several essential oils repel and kill fleas and flies, especially when used in household cleaners. To make the most fragrant rose waters and potpourris, use the most fragrant roses. Modern roses often lack the sweet perfume of the old-fashioned roses traditionally used to make attar of roses. One good resource is jlhudsonseeds.com. Click on the "How to Germinate Seed" link. It provides general instructions along with the very best in suggested resources on this subject. J.L. Hudson will also send you a paper catalog. Both the online catalog and the paper catalog provide germination directions for many of their seeds. 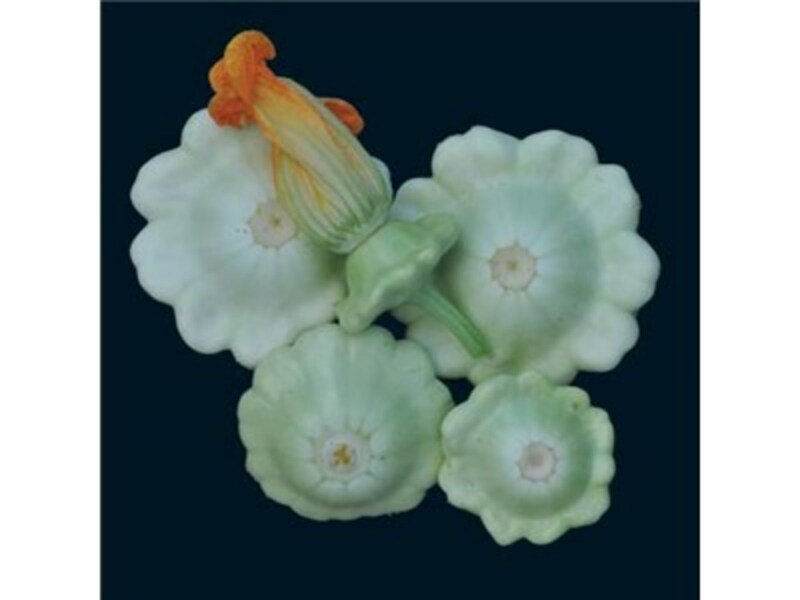 You will also notice that the catalog has many unusual offerings and modest prices. This catalog, along with links, is an education in itself! Wow! i love all the details you have given. I am planning to grow several types of seeds starting next week and I wonder where i can find a full list of seed growing requirements, such as seeds that prefer to germinate in dark, cold temps., heat, etc. I will appreciate your help very much. Great hub, BlueHeron. It's so useful and beautiful to know how to grow plants in your garden. Voted up! Thanks so much! Germinating seeds is quite fascinating. I plan on starting my garden this year. I'm excited because I'm a new homeowner. This article was helpful. Voted up and referred to StumbleUpon!